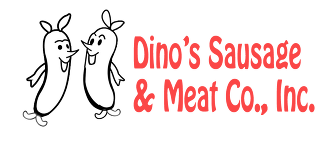 Buy wholesale from Dino's Sausage & Meat Co., Inc. Whether you own a grocery store or a steakhouse, you’ll get top-grade food products from Dino's Sausage & Meat Co., Inc. We started out in 1969 as a small Italian deli and have since grown into a trusted supplier of wholesome, top-quality meats. If you’ve been searching for a meat manufacturer to deliver fresh products to your business, look no further than Dino’s Sausage & Meat Co. Call 315-732-2661 to place your order. We take pride in offering the highest quality beef, chicken, sausage and more. Schedule wholesale meat delivery by calling today. Your customers will keep coming back time and time again if you choose Dino’s Sausage & Meat Co. for your wholesale meats. We work hard to make sure our products are of the highest quality. Call our Utica office at 315-732-2661 to schedule wholesale meat delivery. Copyright © 2019 Dino's Sausage & Meat Co., Inc., all rights reserved.